It's the third guitar Paul Bigsby made and the first with 2 pickups, the design being inspired by Paul's great friend Merle Travis. And, it's a few years older than the first Fender solid body, making it one of the first solid body guitars ever made. This amazing piece of electric guitar history was literally about to be thrown into a dumpster in Alaska...!! Paul Bigsby was to become a household name in the guitar world as the premier builder of whammy bars. Scotty Moore was Elvis's guitar player in the iconic early years....his amp of choice that gave him that unique sound...this extremely rare Echo Sonic. Episode 7: A quick guide to Pre-war Gibson J-35s with Todd and Norm from Norman's Rare Guitars. 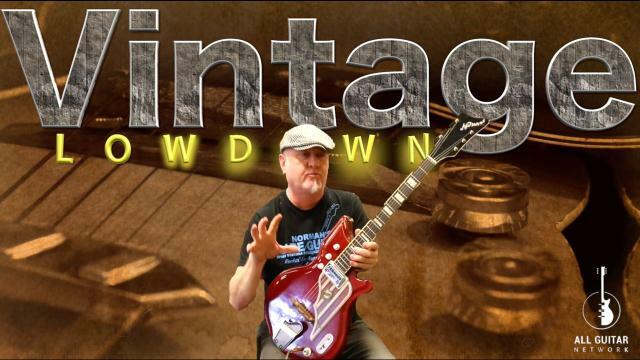 Vintage Lowdown_Episode 7_A quick guide to Pre-war Gibson J-35s with Todd and Norm from Norman's Rare Guitars. Complete with phone calls and interruptions. Episode 3: Freddie Green Style Comping. Jonathan explains the dark art of acoustic rhythm comping, often referred to as the "Freddie Green" style of big band rhythm playing. Archtop Crazy with Jonathan Stout: Episode 3: Freddie Green Style Comping. Jonathan explains the dark art of acoustic rhythm comping, often referred to as the "Freddie Green" style of big band rhythm playing. Freddie was the guitar player in the Count Basie band from 1937 until 1987 and is regarded as the undisputed master of this unique style of rhythm playing. 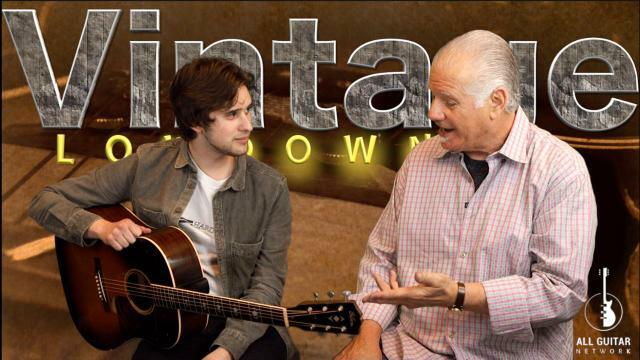 Vintage Lowdown: Episode 5: Jack Schneider and the 1938 Gibson 'Advanced Jumbo' . 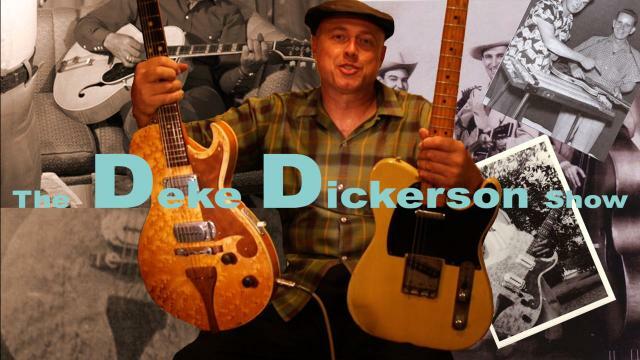 Norm talks to the great young, Nashville based guitar player and artist Jack Schneider. 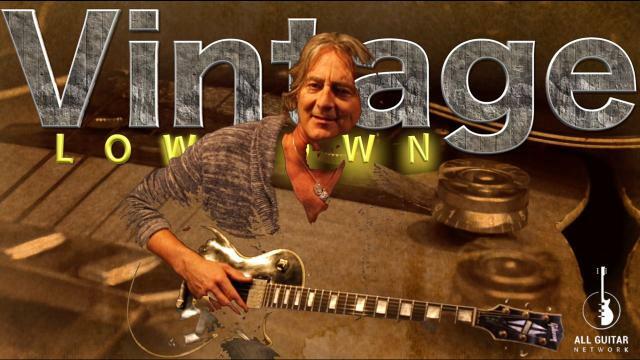 Vintage Lowdown: Episode 4: Guitar great, Allen Hinds on the finer points of collecting 'player' grade guitars. Frank Stallone & Norm Harris have known each other for over 30 years. 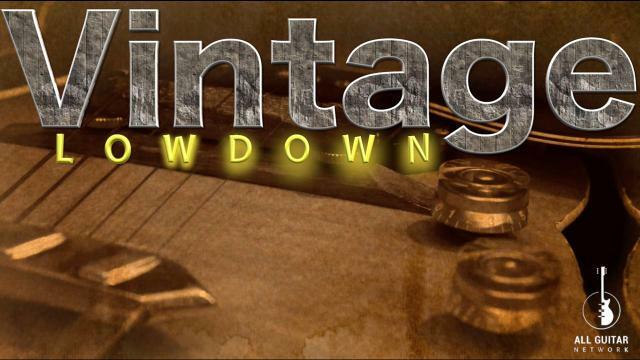 In this episode they talk about all things vintage, and share some great stories about the ones that got away. Archtop expert Jonathan Stout and friend Nick Rossi put a couple of early Gibson L5s and Epiphone Emperors through their paces. Jonathan also gives us some great insight into archtop guitar construction through the 1920s, 30s and 40s. In this series top players and guitar industry professionals give their opinions on a range of different vintage guitars. In this episode, the boys from Norman's Rare Guitars give us the lowdown on the Valco range of guitars from the 1960's. In this series top players and guitar industry professionals give their opinions on a range of different vintage guitars. Blues Saraceno's discography is massive and he has played with many major artists including a brief stint in the band Poison. Here he plays a very rare, very beautiful 1958 Gibson J-185, regarded as one of the best Gibson acoustics ever made. Archtop expert Jonathan Stout and friend Nick Rossi put a couple of beautiful old Epiphone Emperors through their paces.